Think Paris Fashion Week. Perhaps you are looking to gather some fashion inspiration from one of the most stylish weeks in the catwalk calendar? 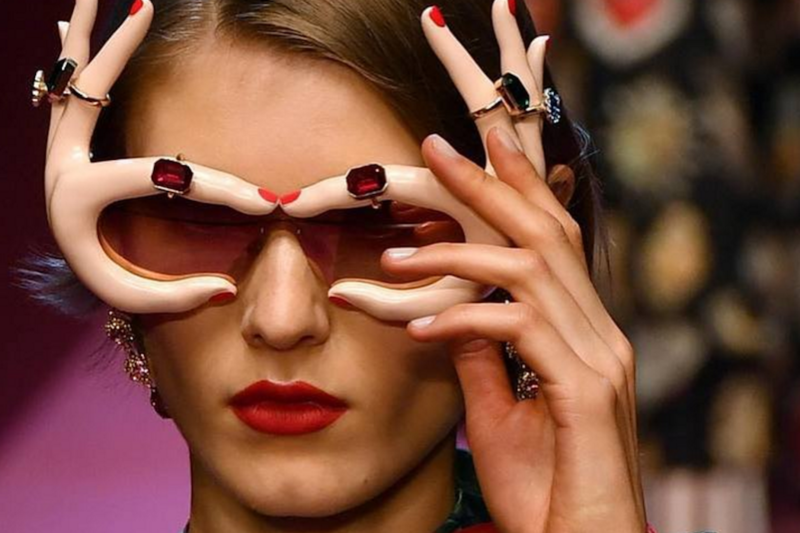 Luckily for you, we have gathered some of the best eyewear + outfit looks from Paris Fashion Week 2017’s stylish attendees into this one handy article. Keep reading to discover how you can steal their style! Shooting with lovely @lariduarteoficial 💗 🇫🇷🇬🇧Paris Fashion Week begins tomorrow! My agenda is nearly full but there's still some available time slots for a street-style look shooting. Get in touch! 🇧🇷Paris Fashion Week começa amanhã! Minha agenda está quase completa, mas ainda tenho alguns horários para fotos de look e street style. Se você se interessar entre em contato comigo! For a subtle nod towards Parisian chic, why not incorporate some red framed sunglasses into your outfit? These glasses will add a subtle pop of colour to your look as well as adding some instant style kudos. Round frames are so fashionable at the moment – you will definitely look on-trend if you wear a pair like these! We love how the model above has teamed her pair with a feminine floral skirt, white blouse, and a leather biker which really toughens up the look. Get the look with the MORGAN Eyewear 207197. 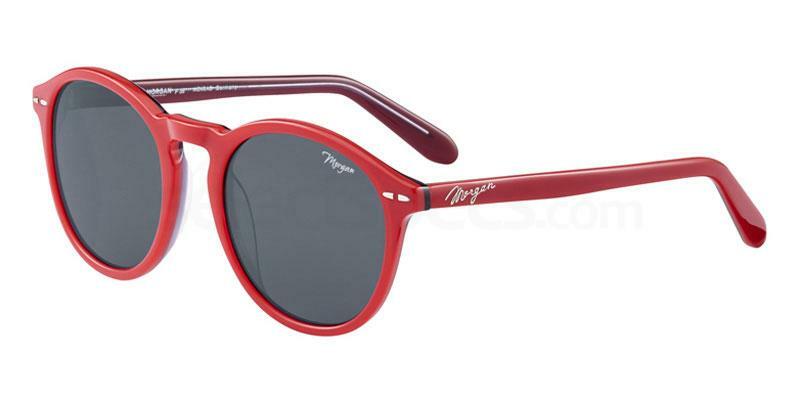 These retro sunnies have dark grey lenses and a bright red frame with subtle branding on the temples and lenses. Square shaped frames always make a big fashion statement, and we love the pair this PFW attendee is wearing above! The thick brown frames are very fashionable but also easy to wear – they will go with a huge range of different outfits. These would be a fab pair to take with you if you just wanted one amazing piece of eyewear which will work with all your different looks throughout the week. Get the look with the Marc Jacobs MARC 179/S. These oversized square framed sunglasses have a really expensive feel to them, with the tortoiseshell frames and the gold detailing on the temples. How chic is this look from @emmaskali here? She has combined three key colours: black, green, and red. These colours all work together so well and give the look a true Autumnal feel. The Breton striped jumper adds a touch of Parisian chic to the look, whilst the bottle green midi skirt gives Emma a gorgeous silhouette. 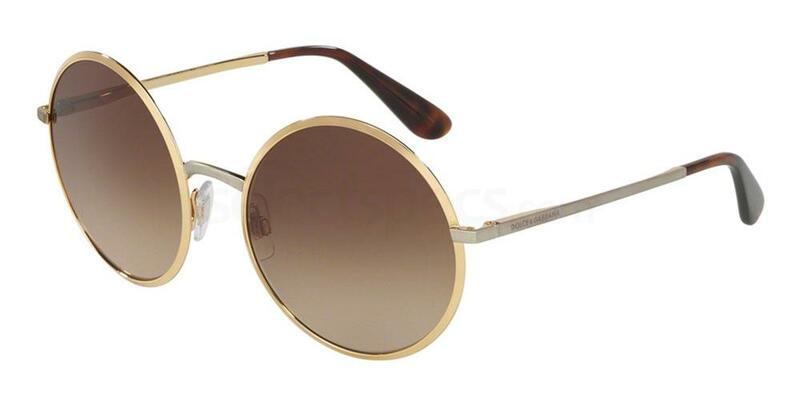 We also love her oversized round sunglasses, with the thin gold metal frame, and brown gradient lenses. 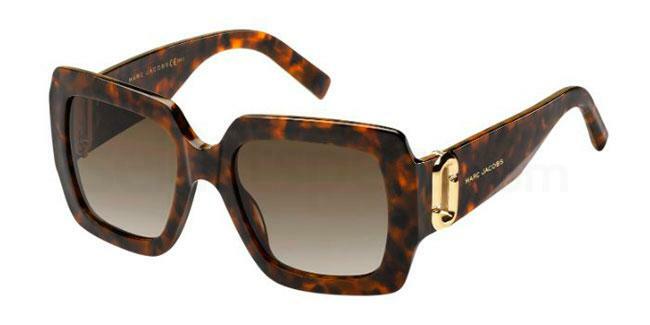 Get the look with the Dolce & Gabbana DG2155. They have a very similar shape and design to the pair above. Also available in six other gorgeous colours. 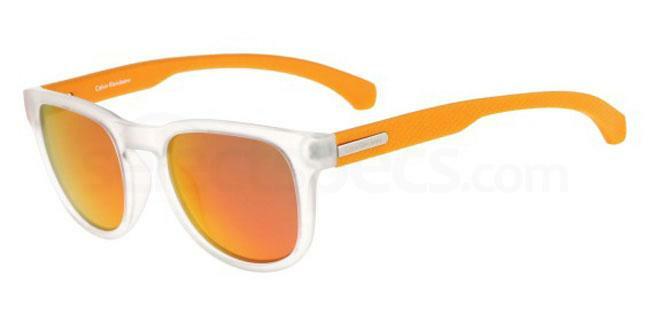 Yellow sunglasses will instantly brighten up your look as well as making you look super fashionable. Very much in vogue at the moment, and are actually surprisingly easy to wear. Yellow lenses also help you to see more effectively in low light conditions as they brighten up shadows. Great for all those late night catwalk shows! Get the look with the Calvin Klein Jeans CKJ783S. They have yellow mirror lenses and clear frames, and a fashionable wayfarer design.